If the next photo doesn't say it all, I don't know what is. I love coffee so much that I can’t recall a moment that I ever disliked it (maybe just the time it unintentionally broke my friend’s laptop). Nevertheless, it always tastes good and I always found each experience with it special. I guess there’s just something unique about the whole coffee concept -- not just the caffeine but the stories that come with it. First off, I’d like to thank my 15-year old self for wanting caffeine every college exam week. From then then on, coffee has always been a part of me and its purpose has become more than just a perk-me-up but now my life’s pick-me-up which I’m happy to explain later on. Coffee has been one of my greatest serendipities and also the perfect remedy whenever I’m anxious, sad or lonely. A lot of my life stories come with it like catching up with loved ones, staying up for a project, writing on my journal, meeting a new friend, enjoying a a piece of cake and so much more! This makes whatever coffee (commercial or specialty) so significant to me…it’s the moments along with it. Why share this story now? Why share my love for coffee at this moment? 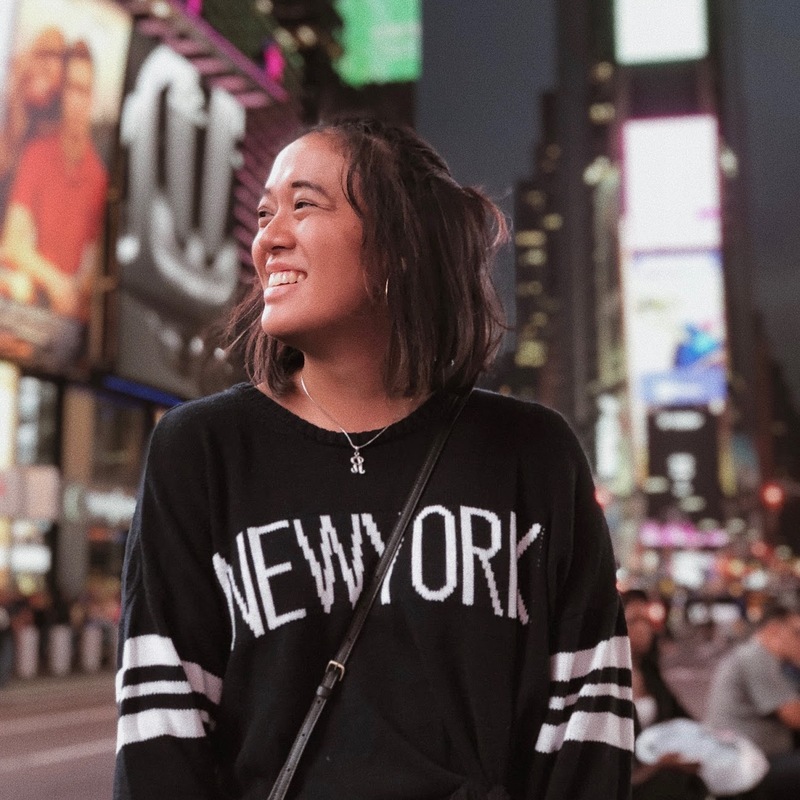 Well aside from seeing my bag full of coffee cups after a month, it’s nice to share with everyone my coffee-ventures here in New York City in the hopes of finding inspiration in opening my own coffee shop/ CSR initiative in the future and for you to check out when you come and visit. So how’s coffee in New York City? It's AMAZING. I’d totally recommend you coffee-hop if you’re around the city. There are so many choices that my list endlessly goes on even if I’ve been to about 25 different cafes in a span of 4 months. I’ve never ever enjoyed the overall coffee experience as much as now. And don’t worry if you’re the pressed or commercial coffee type of person, there are still so many options for you to choose from! You’ll be left overwhelmed. Anyway, as mentioned earlier, coffee has become my life’s pick-me- up which simply means it has been my serendipity through life’s up and downs. It has been there for me through my peaks and pitfalls as cheesy as that sounds. Coffee has been more than just a hot or iced drink for me, it’s one of my security blankets. 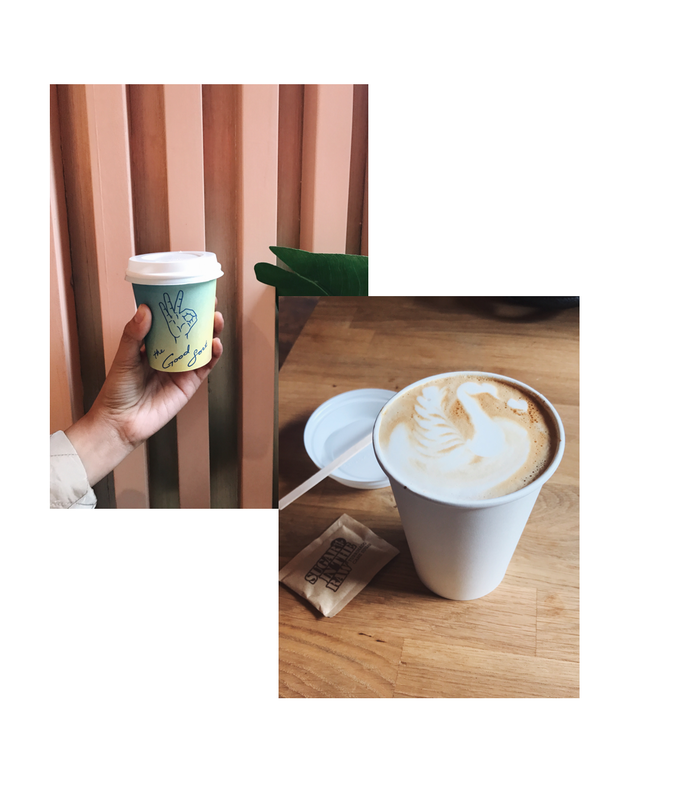 Coffee culture here in the Big Apple is one to love and I’m glad to share with you some insights one latte (a.k.a. my favorite coffee drink) at a time. Among all these cafes, these are my top picks. These have become instant favorites because I love the overall experience that comes with it - the coffee, space and vibe. Actually one main reason why I café hop is because I get to try different lattes in new spaces with unique stories. 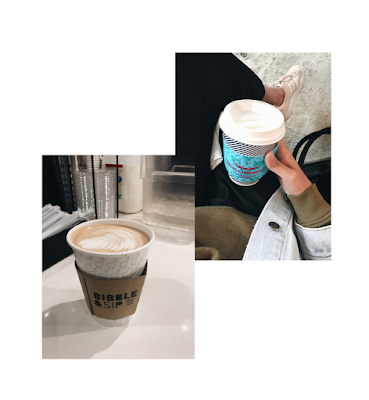 One café feels homey, another feels cozy and some are just Instagram perfect! There are too many variations and I enjoy them. Specialty coffee unlike bottomless sodas in vending machines or milkshakes in blenders, requires a thought process and system to be made perfect. It’s nice to see your perfect cuppa joe made in front of you and to your liking. Being in a café is like being in a happy place with endless possibilities- you’re able to meet with friends, catch up with work, relax, eat and so much more! Coffee is the perfect balance of sweet and bitter depending on how you like it. Specialty coffee requires a tedious process and it’s a work of art in itself. I’ve never been as caffeinated as I am now but I appreciate every moment. So far this year, I’ve only been to three new coffee shops and I can’t wait to visit more. Also, you might be wondering why I collected all these cups. 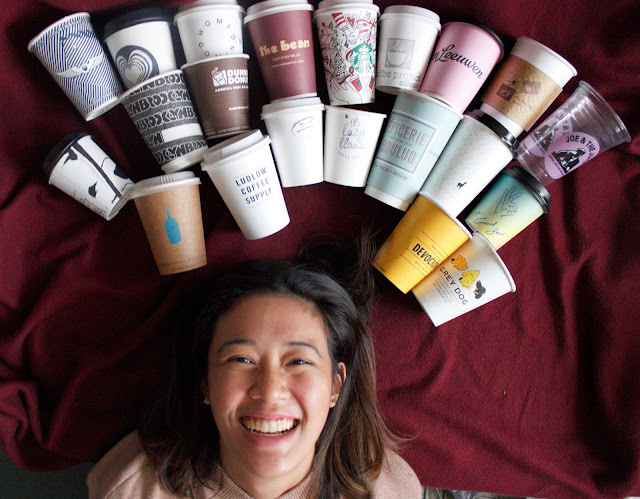 Well aside from recycling them and keeping them as 'memorabilia', I’d like this coffee journey of mine to be a part of my own café in the future. 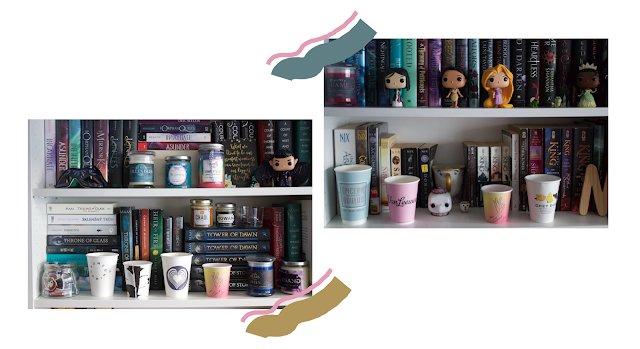 I’d like to have a shelf dedicated to these cups if not in the shop at least in my future place. I’ve also come up with cool ways to use them. I never realized how aesthetically pleasing it looks as decor and how cost efficient it actually is. 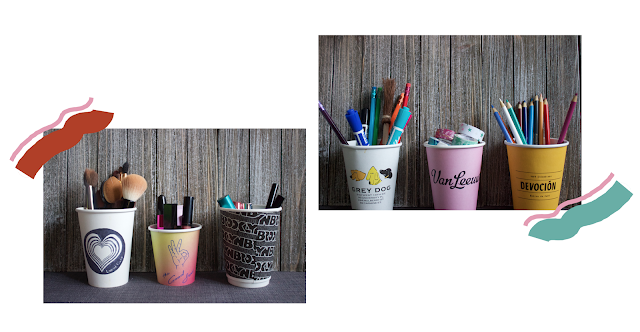 The little things count when you live in an expensive city such as NYC even if it’s just a container for makeup and pens. Don't forget to wash these cups properly! So yeah, this is my coffee story. You might find this crazy but to me it's an investment in inspiration (as what my brother-in-law would say).